The Book Sprint for International IDEA and HDS finished up on Friday afternoon. 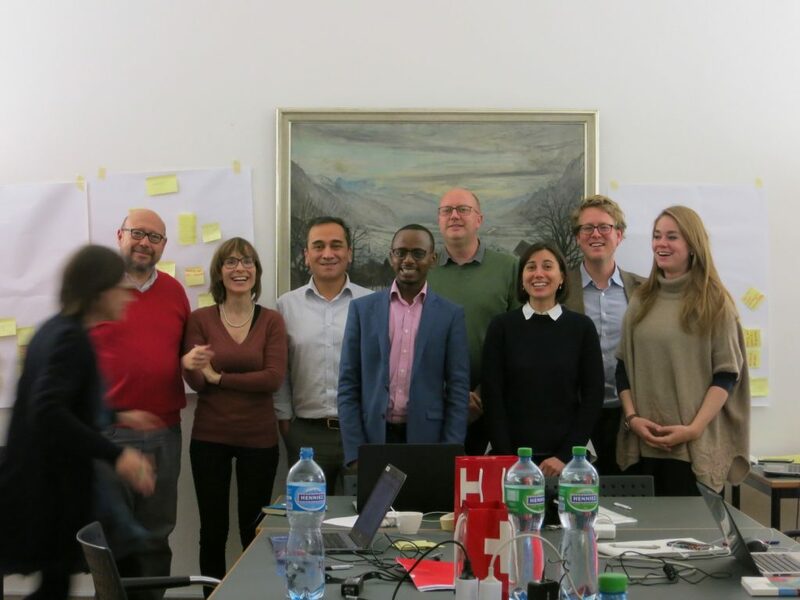 During five days, six participants from IDEA, HSD, NIMD and the Center for Humanitarian Dialogue pooled their expertise to build a practical tool for the development of codes of conduct aiming at celebrating elections in the best conditions. The Book intends to guide domestic ‘honest brokers’ working in transitional contexts (facilitators such as party leaders, EMBs, peacebuilding experts, democracy assistance practitioners, etc.) and provides lessons learned, essential steps and considerations drawn from successful dialogues between political parties for the development of codes of conduct that contribute to the holding of peaceful elections. The guide will illustrate each step with comparative examples allowing its users to make informed strategic decisions both in relation to process and content. It will now go through a final review by IDEA’s publication team and we look forward to seeing its release!